You now have made a mold with some seams that open for removal. Congrats on the hard work! 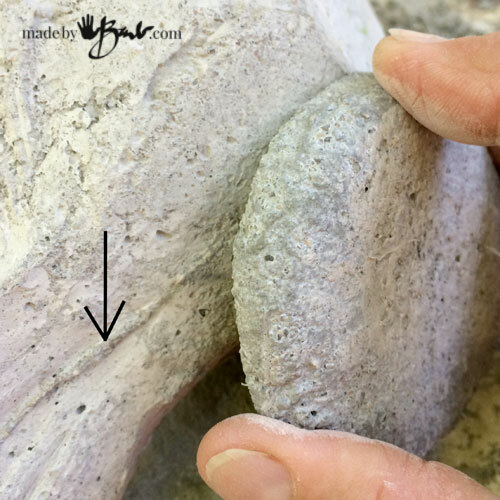 If you are a bit scared of working with concrete you may want to check out this post on ‘Tips & Tricks’. Again, as in my other concrete projects (here) I have used my favourite premix; Quikrete Sand Topping Mix. Cheap and strong stuff. 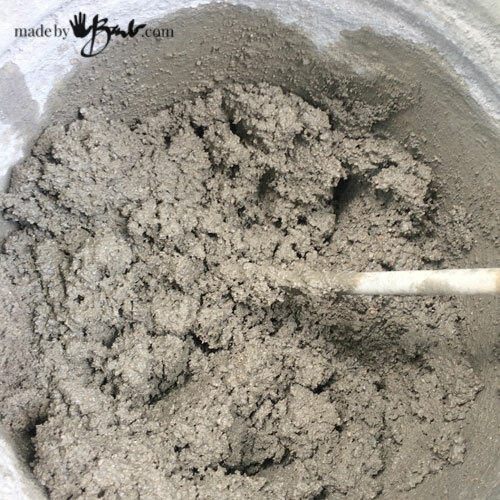 It is a pretty basic concrete mix that does NOT have large aggregate (big rocks) in it, only sand and portland cement. Update: If you want to work faster; I have found a mix that is unmoldable in 1 hour! RapidSet CementAll. It has worked quite well with my other ‘Bunny’ casting project. To give it extra strength I have added some fibres. You can get them at any building supply place as well. 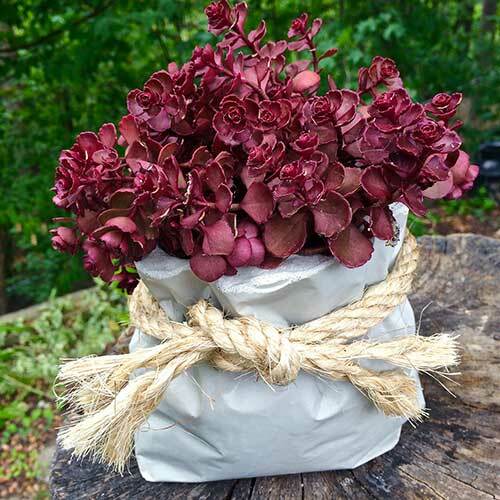 If you are resourceful you could probably make some by cutting up yarn or string into pieces. They disperse themselves and help keep the concrete from cracking. The parts that tend to break are the thin ones like beaks or feet. Your mold will need to sit level. I have filled a container with sand to cradle the head and keep it stable. Prop yours up with whatever you have, rags will also work well. Secure the mold together with elastics/string. I have also discovered that this material will allow pins to push through to line up the edges. You have 2 options for pouring. 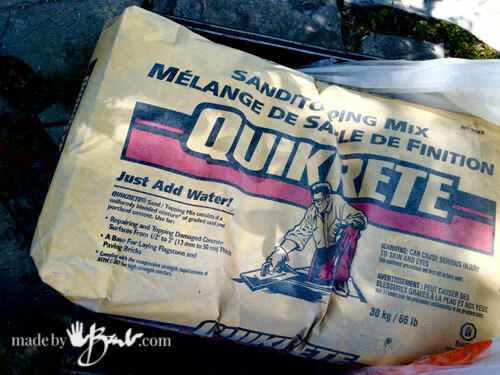 If you use only the Quikrete mix you will probably have a more rustic pour with some bubbles on the surface. If you take extra care to vibrate it and poke with a skewer, there may be quite minimal bubbles. 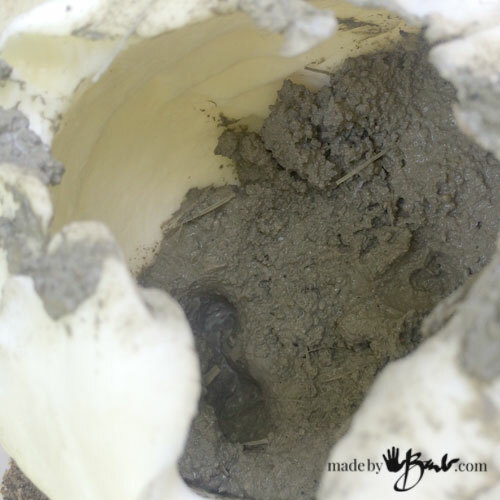 Your other option is to coat the inside surface with a slurry mix of just portland cement. 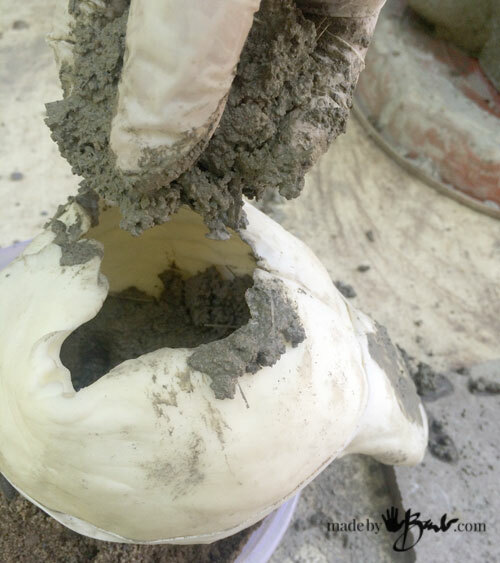 Portland cement is the active part of the cement mixes that binds the sand/stone/whatever into the solid form. Mix a small amount to a somewhat runny mix, like melted ice cream, and pour into the mold. Turn the mold round and round til it just coats the inside surface. Jiggle and tap, and it will flow. This will give it a pretty solid coating on the outside that is less likely to have any bubbles. 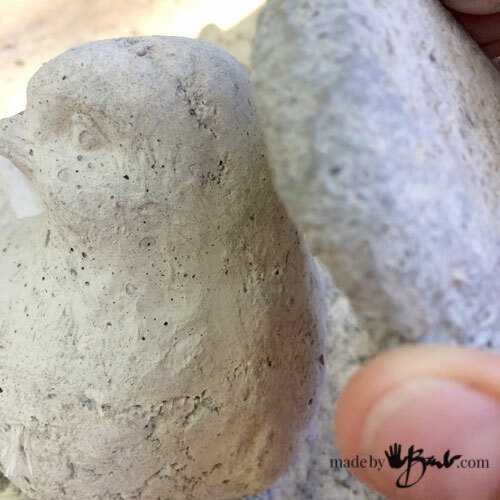 Once it is coated (or if you chose not as I have since I like the rustic look) you can fill the mold with your Quikrete mix. It is really crucial that you get it in every nook and cranny. I use skewer sticks to poke everywhere, and jiggle and vibrate. 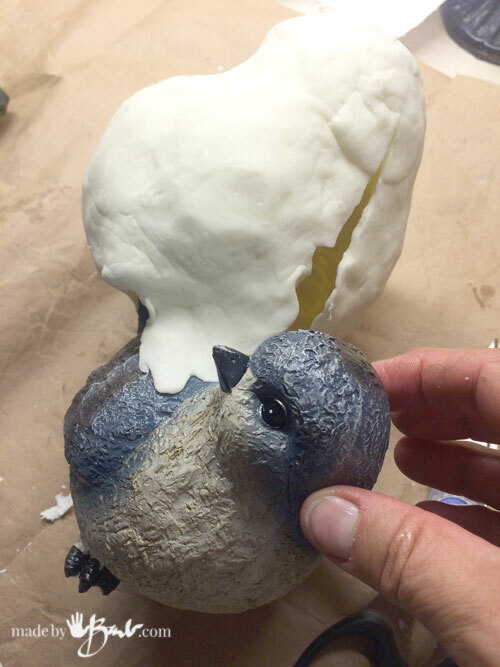 You don’t want a missing beak or eye! 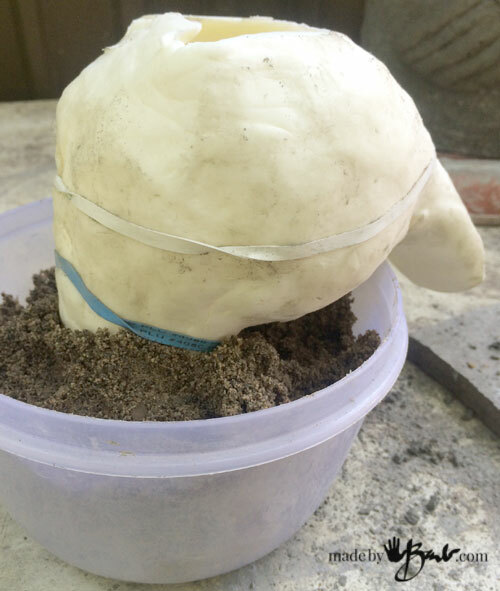 Tap the sides and turn the mold to get the mix to fill the tail. I have a really really great “Tip” that I discovered. After pouring my bowls I would sand them as well. I was frustrated with how flimsy the sandpaper I bought was. 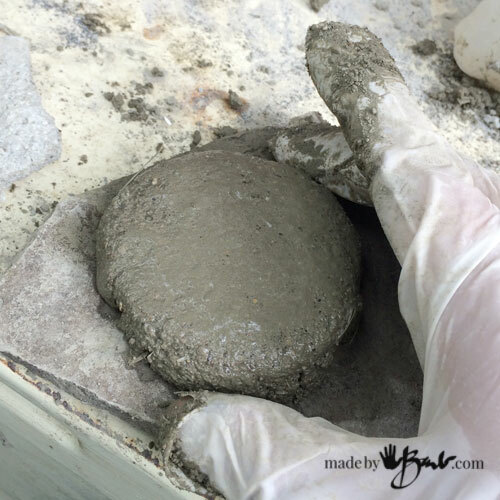 (ok, it was cheap stuff) and I saw a disk of extra concrete that I had just poured on a stone, like a coaster. I asked myself, what is sandpaper? It’s sand, just like what is in concrete. So I used this disc like a sanding block and it worked nicely to smooth out edges and seams. It is solid ‘sandpaper’. Here are my home-made sanding discs. Pretty ingenious eh?! Since the mold has openings, the seam lines may show as pointed out here. Take the disc or your regular sandpaper (or even a file) and smooth them off. It is concrete, not plastic, so it is quite acceptable to look rustic in my opinion. In this world of digital reality I like some REAL TACTILE texture! 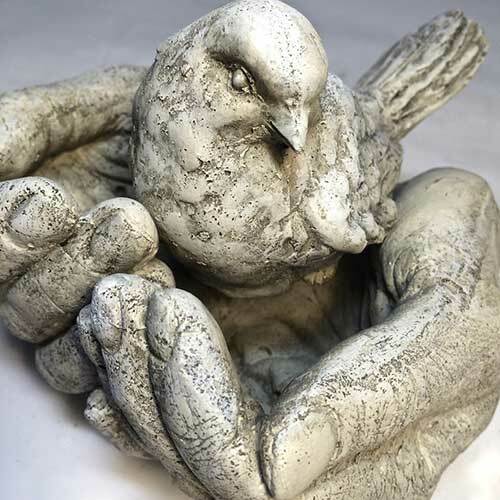 Old concrete sculptures have a great ‘patina’ of texture so I really don’t mind having some here. Tada! It is a ‘Small project’ yes, but still quite unique and still gratifying. Well done! ‘Want more concrete projects from this concrete-crazy Gal? Great idea. I will try this. Been working in concrete over 10 years. Thank you for sharing this clever project. I can’t wait to make my own! I will also make some sanding stones. That was very ingenious as you said! I am going to use them on other projects as well. Great project, thank you! Glad to help. I can’t wait til it gets warm again to be able to cast, as ideas keep popping into my head…. Thank you,love the way you explain the whole process.I look forward to trying this. I have made several of these and I am having great success. (And fun) I just reread your blog and noticed you didn’t spray the inside of your mold with any kind of release like cooking spray. I thought it was necessary. I was going to do the Portland cement slurry to get the smoother finish but with the cooking spray it wouldn’t stick to the side. So am wondering if I should forget the spray. I love playing with cement. the possibilities are endless. I can’t wait to see what you will be doing this summer. How coincidental as I’m sitting here trying to figure out how I can do some casting today (as it’s snowing outside). I’m so happy that you’ve made some with great success! No, I didn’t use the release. A lot of the time if the mold is smooth plastic I don’t need it either. When I casted my ‘stamps’ I didn’t use a release either. That silicone/starch mix doesn’t seem to stick too much so the concrete doesn’t stick easily. I am able to scrub my molds and stamps quite well to clean them too. 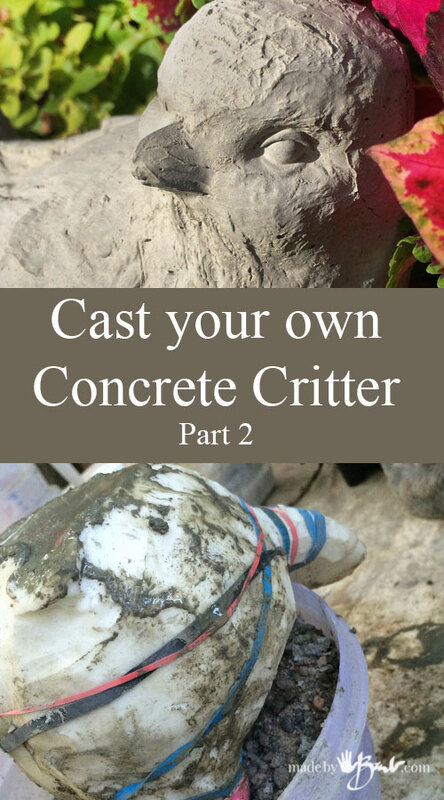 Yes, do check back or subscribe as I think concrete my be my favourite project media… Let me know how it goes, ‘would love to see the results. Hi Barb. I love your ideas! can you tell me how you store the silicone moulds and how long they last for? Barb, I love your postings on pinterest. You are very generous to share your knowledge. 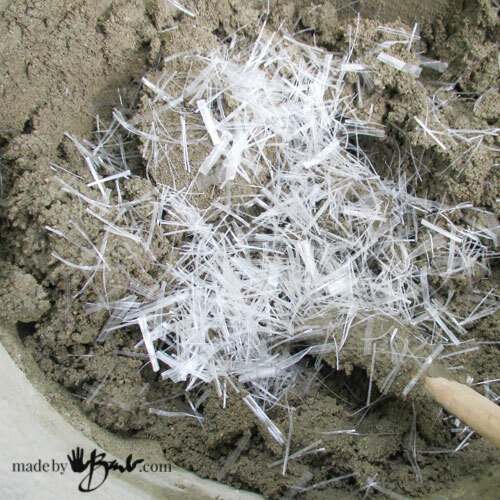 I am a beginner to sand casting leaves in cement and want to explore further possibilities. 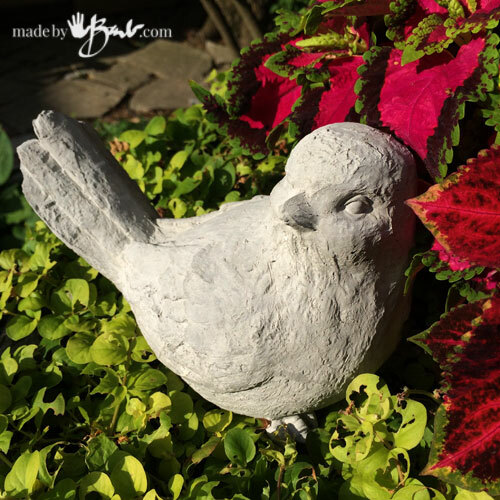 I was wondering how to affix a cement bird made from the mold to the rim of a large cement leaf ? Wow! Thanks so much for this! Do you think I could do the entire thing with Portland cement for a smooth look? The item that I’m wanting to make a mold of is smooth and I think would look best that way. Thanks! 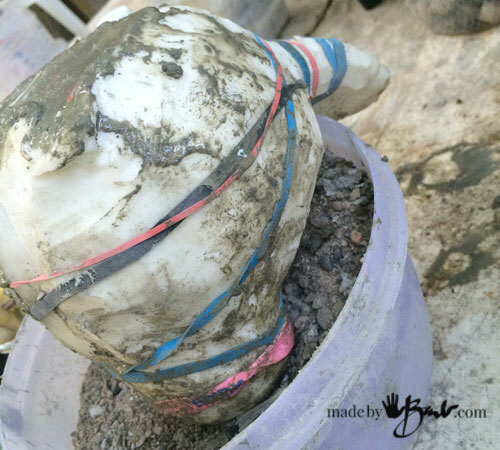 Do you know about how many time you could reuse the mold? And do you think it would work in a larger form? (as in a long stepping stone about 30″x9″). Thanks! I have used some of my molds over a dozen times. I see no deterioration. I made a large one for the faces and cast 7 so far. It is quite large so I use a bed of wet sand to stabilize if the mold is thin. Hope that helps, ‘would love to see end result! Would be so much more interesting with a few photos. I am not sure what the problem is? Maybe a bad link from Pinterest? This post has many pictures. Wow, great source! Thank you for sharing it! 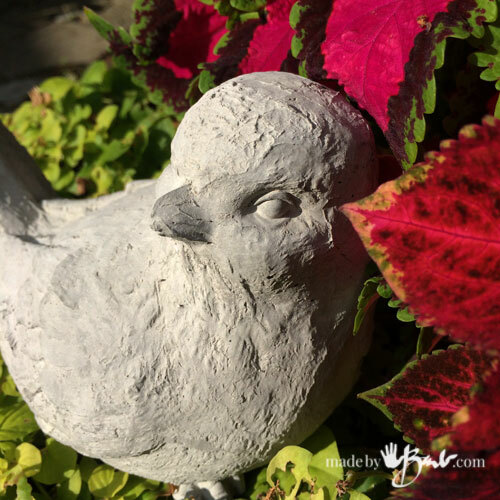 Do you sell your decorative molds? I cast cement. 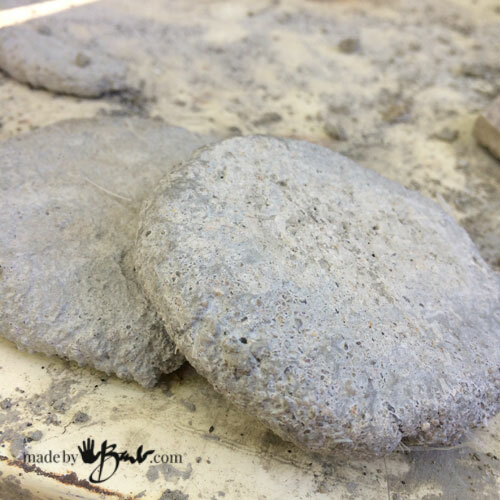 I remember fondly of my first concrete project, the stepping stones… the rest is history. You may want to check this out too! Oh, yes! 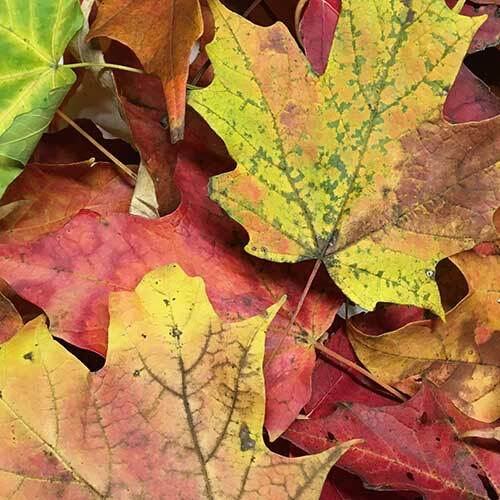 I have had them in the shed and they do not seem to change at all even with the winter. I’ve used each of mine multiple times. Hello I am glad to come upon your blog, I bought at auction some old cement acorn shaped statuaries, which I discovered had damage after the purchase. I would like to make a mold following your instructions. They are aged and darkened wth time, any ideas for making them darker when mixing my concrete? They seem to have more small stones in them also. Hi barb! The molds are reusables? Oh yes! They last very well eve have them in the shed over our canadian winters! Happy making!